Welcome to Inspire Digital, an online resource platform and termly publication for secondary school pupils. The aim of the publication is to provide a portal of information useful for preparing your mind for those tricky interview questions and to help you source articles, TED talks, YouTube videos, newspaper articles and other sources to delve further into selected topics. With practice puzzles set and solved by real Oxford tutors, competitions with amazing prizes, and the chance for your school to contribute to the magazine with puzzles of their own, there really is no better place to enhance your learning! You also have a chance to ask our Access/Admissions team and our student ambassadors – our friendly staff and real-life Oxford students – questions or to give us suggestions about interesting titles for future editions. Inspire Digital is an interactive resource, with new material, hints and solutions to the questions posted on a regular basis. 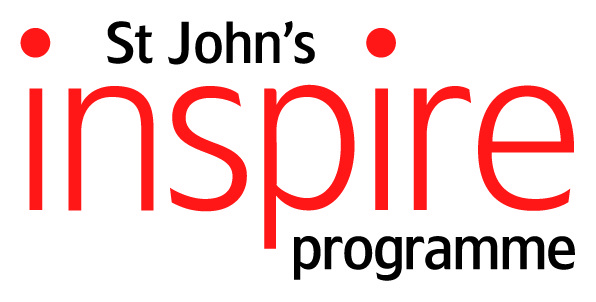 Subscribe to sjcinspire.com using the sign-up box in the footer below to keep up-to-date! Issue 1: How to make a successful video game? You can navigate the site using the menu at the top right. Under Issues, you will find all past issues of the Inspire Magazine. The Students and Teachers pages provide brief guides for using the magazine. The Questions tab gathers together all questions. This includes problems set by St Johns tutors relating to each issue’s content as well as general questions set by teachers. Under Resources, you will find resources for applying to Oxford, University and College Open Days, as well as information on the Inspire Programme and St John’s College. If you’re curious to learn more about us, we’ve also got video interviews with current St John’s students and St John’s tutors. Finally, be sure to check out the external resources and calendar of upcoming events at the bottom of the homepage.